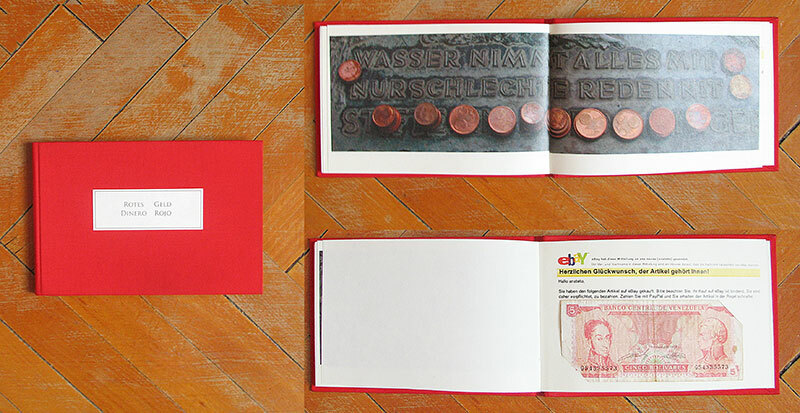 The artist Ana Navas took the red cent coins out of fountains, till she collected 1€, which she put back into the cash flow: She purchased a 5-Bolivares-note for 1€ at an auction on ebay. The note is from Venezuela, it is also red and it is worthless because it was replaced by a new currency. This exchange outlines a cycle of value and loss of value and illustrates that value of money depends on place and time.